Today I want to share with you a very simple scrambled eggs recipe with green beans. This yummy, vegetarian clean eating recipe is ready within a few minutes. Although most people serve this quick meal for breakfast we have this light summer dish often for lunch or even dinner. My mother in law knows how to grow green beans (commonly referred to as string beans) in her garden and I’m lucky to get a big bunch of them each year in July. The premise for this easy eggs recipe is that you blanch green beans before you use them for this dish. How to blanch green beans? Blanching is a basic cooking technique wherein usually the vegetable or fruit is put into boiling water, removed after a certain period of time and transferred to ice water. For most of the recipes and also for the following one you need to blanch green beans in advance. Also if you plan to freeze green beans – blanching is a must. Use a large saucepan of water and salt it generously. This is crucial as it helps to prevent flavors and nutrients from seeping out of the legumes. Drop washed and trimmed beans in rapidly boiling water. Cook the legumes around 6 minutes (until tender). Drain and immediately plunge into ice water or place under cold running water to stop the cooking process. Add the onion to the pan and sauté for 2 minutes. Whisk the eggs in a medium bowl and add them to the skillet. Taste it with salt and pepper. Tip: For stirring, you might want to use a silicone spatula or a rubber spatula. Are scrambled eggs healthy or not? How to make scrambled eggs healthier? So what can you do, if you love eggs and don’t want to give up this easy source of protein and vitamin B12? My advice is to pair your egg dish with super healthy vegetables or legumes. Green beans are in my opinion one of the best foods to pair with eggs. If you are watching your weight you might want to use only the lighter egg whites for this dish. Beans contain favorable components, like antioxidant flavonoids. These are phytonutrients, which protect our cells against harmful free radicals, strengthen the immune system and have anti-inflammatory properties. On top of that, they contain vitamin b2, vitamin b6, and beta-carotene that our body can process to vitamin A. Other components are potassium an important mineral for cell growth and magnesium that is favorable for our muscles and nerves. But that’s not all! Green beans are also a good source of plant protein while their high fiber content promotes digestive health. You may want to check out in this context also my lists of high fiber foods. Given the fact that eggs and animal products, in general, don’t contain any fiber, you could easily increase the beneficial fiber in any animal-based dish with veggies or legumes. 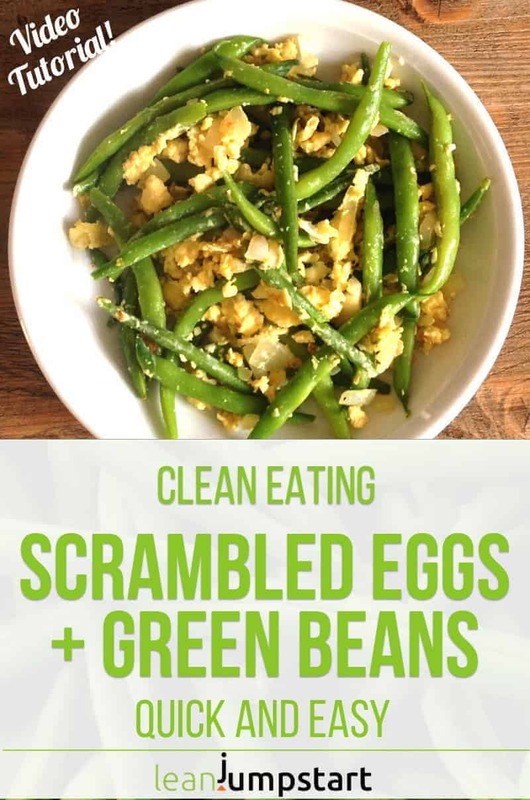 I hope that the numerous benefits of green beans can convince you to include this eggs recipe with green beans more often in your meal plan. For more inspiration, watch my following video below. Storage tip: freeze green beans! Green beans should be eaten as fresh as possible. They can be stored in the vegetable box or salad drawer of your fridge for a short time. Heads up: After two days already they can taste floury and bitter. To get most of this nutrition powerhouse I wash, trim, blanch and then freeze most of the green beans that I get from my mother in law. That way I can serve them even in autumn and winter time. Green beans can be stored in your freezer for 8-10 months. How do you like this recipe variation? Now it’s your turn. 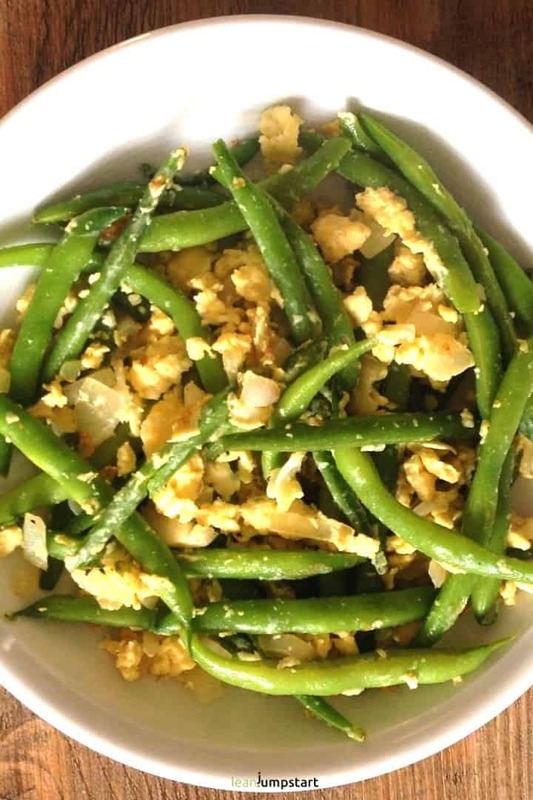 Let me know how you like this green beans recipe with scrambled eggs in the comment section below! Is it too easy and simple for you? 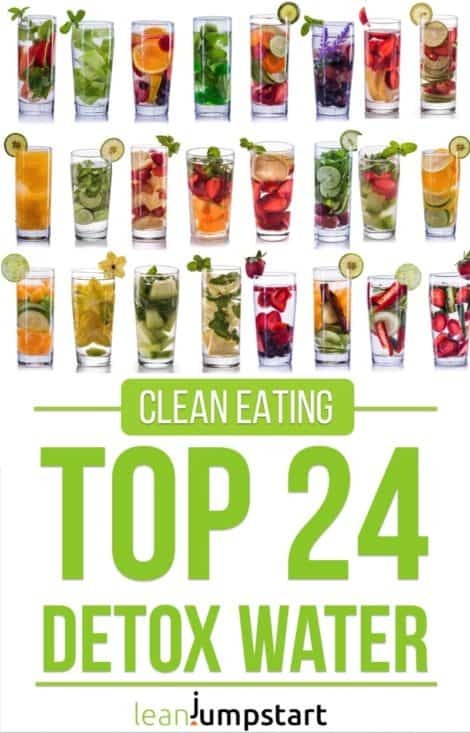 Or do you – like me – also prefer simple, quick, and yet delicious clean eating dishes? About 15 years ago, I had a Russian girl, who was marrying was cousin, prepare this dish for me. I was horrified at first, as I’d never seen it before. ha! But it was delicious. I just recently began making it for myself and also like to add in bacon. It’s fabulous! Thanks for posting this recipe. I eat this for breakfast/lunch at least once a week. My family thinks I’m weird so its nice to see other people enjoy it too. I usually skip the onion and use coconut oil. I also like to use garlic salt. Thanks for sharing. Thank you for the coconut oil tip+ garlic salt, will try it the next time. I think you should say beaten eggs, instead of scrambled eggs, in the ingredients. Otherwise very good recipe and the result was very tasty.